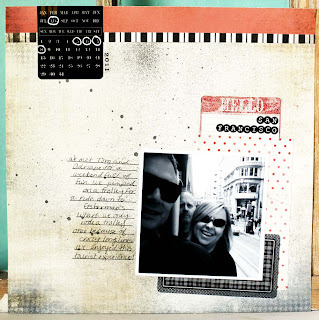 I'm happy to be sharing a couple of layout creations on the Glitz Designs blog today! 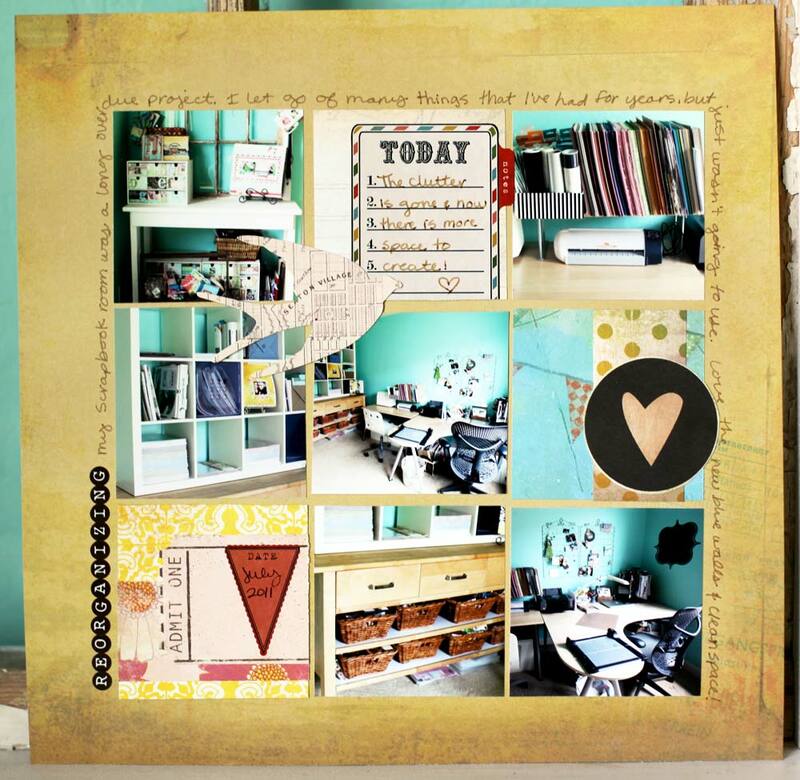 First up is a page about reorganizing my scrapbook room. 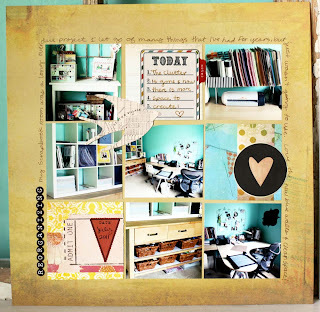 A couple of weeks ago I shared on my blog about the process of getting organized and this layout features the results. I'm loving the bright blue walls and empty space. Perfect for getting the creative juices flowing. 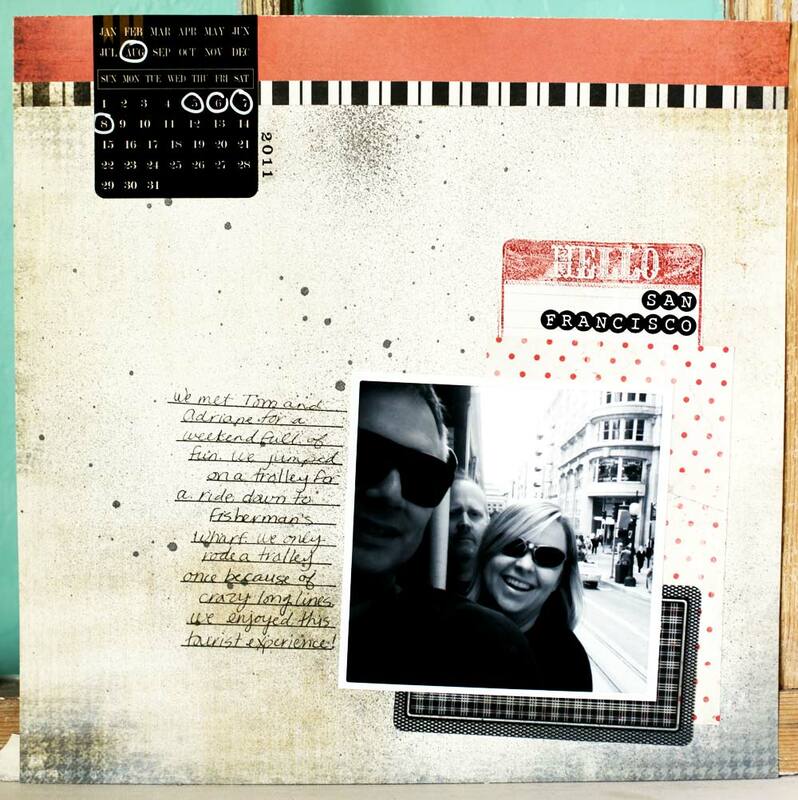 This layout features pieces from three different Glitz Designs lines. I think they all work together pretty well! Next up is a layout featuring one of my favorite photos I took on a recent trip to San Francisco taken while we were riding on a trolley. When I pulled out the Glitz Love Games stamps to use on this page I wondered to myself why I hadn't used this fun "Hello Badge" stamp yet. I'm thinking there will be a lot of future uses for this stamp.